Net-a-Porter has reported that sales of their scented candles shot up by 180% in December. Candle sales have risen by one-third over the past couple of years and the global market for scented candles is a whopping 90 million a year. The UK is the one biggest markets in Europe after Denmark and Sweden. Those figures are no surprise given our love affair with scented candles, especially here in the UK. Net-a-Porter’s huge spike in sales over December makes perfect sense. We all cosied up in the darkest month of the year and took the time to enjoy our homes. What is it that we love so much about candles, especially in the colder months? In February, as the British weather is still cold and wet, the urge to create a welcoming environment is especially strong. After a long day, lighting a candle and settling down on the sofa with a glass of wine feels like luxury. A long hot bath with a flickering candle by your side can help you shift down a gear after a long week. We all know that these little acts of self-care can make all the difference to our wellbeing. Under all the pressures we face from work, life and family is is easy to get stressed out. Eating well, practicing yoga or going for a walk on the beach are all ways we find to regain our balance. Our good health is so important to us, so take the time to light a beautifully fragranced candle, take a big breath and relax! It’s worth mentioning, here at LT we make sure your good health is looked after. All our candles are 100% Soy wax with textile cotton wicks. These are a natural products which burn cleanly. Always avoid any candle made from paraffin or ‘mineral’ wax as these can have negative health effects. As long as we are looking after ourselves or enjoying our homes, it looks like scented candles are here to stay. Keep on burning! 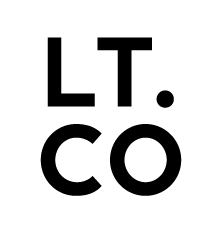 Enjoy 20% off this weekend on all LT candles. use code “keepburning” valid until midnight sunday 17th February 2019.